Dr. Keller is the Director and a Co-Founder of the Bellevue/NYU Program for Survivors of Torture. In addition to serving as a primary care physician for many patients in the Program (Dr. Keller speaks French and Spanish), Dr. Keller oversees and coordinates the provision of medical services for Program patients, working with other primary care physicians and medical specialists affiliated with the program. Outside of his work with the Program, Dr. Keller works as an Assistant Professor of Medicine at the NYU School of Medicine and an attending Physician in the Bellevue Hospital Primary Care Medical Clinic. Recognized internationally as an expert in the evaluation and treatment of torture victims, Dr. Keller has written numerous articles/chapters that have appeared in leading medical journals and textbooks relating to torture and caring for asylum seekers and refugees. In 1985, Dr. Keller worked as a medical volunteer in refugee camps along the Thai-Cambodia border eventually developing a UN sponsored program in 1992 to train Cambodian health professionals in documenting human rights abuses. Dr. Keller is a member of the International Advisory Board of Physicians for Human Rights and has been evaluating survivors of torture since 1990. 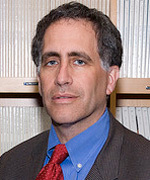 He has received numerous awards, including the Humanism in Medicine Award, from the NYU School of Medicine in 1999 and 2002. In 2003, Dr. Keller was presented with the Barbara Chester Award, an international award given to a clinician in recognition of outstanding care provided to torture victims, by the Hopi Foundation.